Bishop Amat won last weekend’s Bonita Air Assault. Is this the first of many for the Lancers this year, or do we attach nothing to it, being just a passing league tourney? Damien High’s Angelo Mollo, left, and David Washington have been selected as the SGV Tribune’s Boys Tennis Players of the Year. 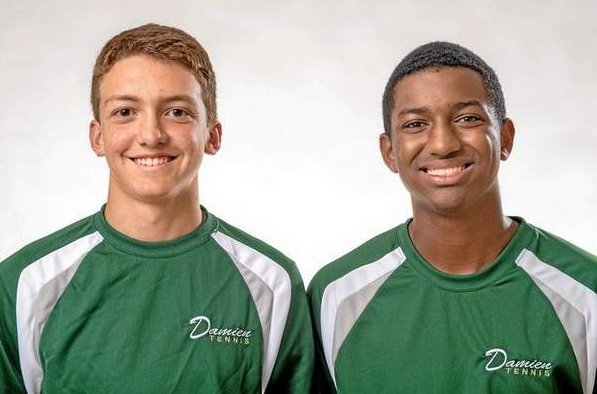 Damien High School boys tennis coach Bill Urquhart had an idea of putting his two best players — seniors David Washington and Angelo Mollo — together on doubles. It turned out to be a magical pairing. Washington and Mollo enjoyed a monster season, going 40-1, winning the Sierra League title and becoming the only area representatives to advance to the round of 32 at the CIF-Southern Section individual tournament. For their efforts, Washington and Mollo are Tribune co-Tennis Players of the Year. “Coach came up with the idea of having us play doubles this year and it worked out really well,” said Washington, who also plays basketball at Damien. “Angelo and myself are not just good tennis players, but we’re also really good friends. The duo was dominant in the Sierra League. They not only went 30-0 in league play, but only lost three games in any one match once. They went on to win the league tournament before advancing to the round of 32 at the CIF-SS tourney by upsetting top seed Jona Malkin and Emilio Yera, of Beverly Hills. Their season ended with a 6-3, 6-2 loss to Parker Braverman and Darren Nguyen, of Fountain Valley. 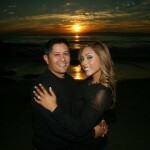 Hamel, who took Diamond Bar to the Division 2 finals in 2007, has been one of the area’s top coaches. This season was one of his best. It included the Brahmas advancing to the Division 2 semifinals and playing the CIF State Southern California Regionals for the first time. Diamond Bar also upset No. 3 seed Beverly Hills in the quarterfinals and pushed Palisades before losing in the first round of the regional tournament. Vuong went 57-2 and won the Hacienda League for the third consecutive season. He also advanced to rounds at the CIF-SS Individual tournament, losing in the third round by tiebreaker. Vuong was Hacienda League Singles MVP after helping Rowland to a 17-1 record and the Hacienda League title. Tengbumroong went 52-9 and was runner-up in the Hacienda League tournament. He also advanced two rounds in the CIF-SS tournament and helped Diamond Bar to the CIF-State Southern California Regional tournament for the first time. Tran was a key piece in Rosemead winning the Mission Valley League and advancing to the CIF-SS Division 5 quarterfinals. Tran was Mission Valley League MVP. He also advanced two rounds at the CIF-SS tournament. Hsu and Sakata went 52-16 and won the Hacienda League title. They also advanced two rounds at the CIF-SS tournament. The duo were a key piece in Diamond Bar advancing to the Division 2 semifinals and the state tournament. The duo went 54-3 and were runner-up in the Hacienda League tournament. They also advanced three rounds at the CIF-SS individual tournament. Yu and Alidina helped Rowland to its second consecutive league title for the first time in school history. The Raiders were 17-1 before losing in the CIF-SS quarterfinals. It’s never too early to look ahead, so what a better time during the summer downtime than to look at the opening week of the prep football season. And while most colleges rarely go the marquee route on week one, some area coaches have taken the opposite approach as we will have some intriguing matchups during the first week. The highlight is likely Monrovia visiting San Dimas, which has been sort of a rivalry in recent years. Some of the luster is likely off now that the two are in different divisions, but it should be a great one. Both lost some talent, but these two simply reload. Other key games will be Arroyo at San Marino; Steve Bogan’s debut at Maranatha at home vs. Bassett; Bishop Amat vs. Santa Margarita and South Hills renewing its long-time rivalry with South Hills, which is scheduled for Saturday. The season kicks off on Aug. 28 when Northview hosts Rosemead at San Dimas High School. Cal State Fullerton’s Justin Garza, who was 2012 area Baseball Player of the Year from Bonita, was one of 29 college underclassmen invited to the Team USA Training Camp in Cary, N.C. The final roster will feature 24 players who will part of the team’s summer season, which features the Friendship Series against Chinese Taipei and Japan, as well as trips to Honkbal Week in Haarlem, The Netherlands and a five-game series in Cuba. 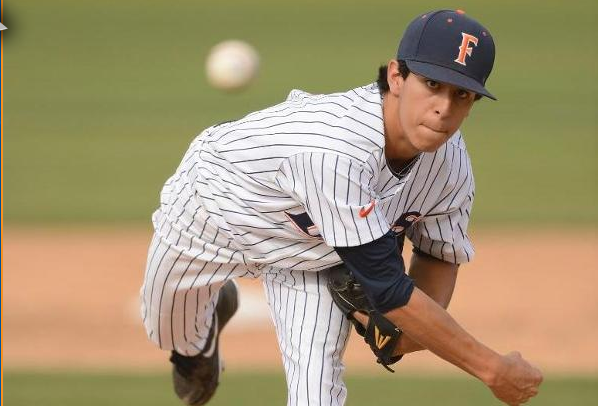 Garza, who led Bonita to the 2012 CIF-Southern Section Division 3 title, became the fourth Cal State Fullerton pitcher to throw a no-hitter, tossing a no-no against Cal State Northridge on May 23. He finished the season with a 5-4 record and a 3.22 ERA. He also had 60 strikeouts in 72 innings. 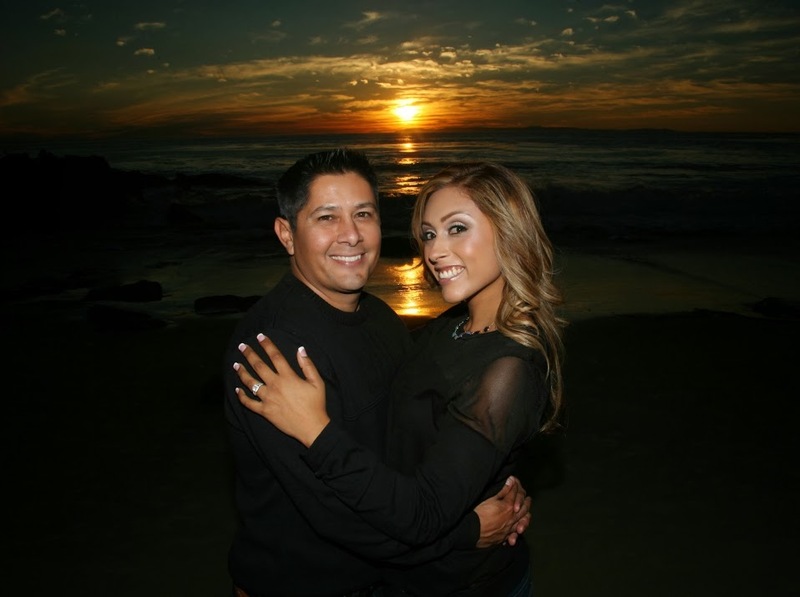 I’ll be getting hitched and on vacation at some far-away-beach over the next two weeks so send all tips and breaking news to steve.ramirez@langnews.com or his twitter @steverramirez. And keep Stevie honest, it’s his job to update the blog and keep you talking while I’m gone. Not that I’ve had a lot of time to think about it while trying to keep the future Mrs. Robledo calm in the final stretch and watch World Cup soccer at the same time, but here’s my stab at the Tribune pre-season Top Ten Football Rankings and who else do you think I’d start at No. 1? Uh, duh. In any case, would love to hear your thoughts on a top ten, what teams you expect to do well and what players to watch for this fall. We’re beginning production on our annual PrepXtra Preview football magazine and over the years your input has always helped. 1. 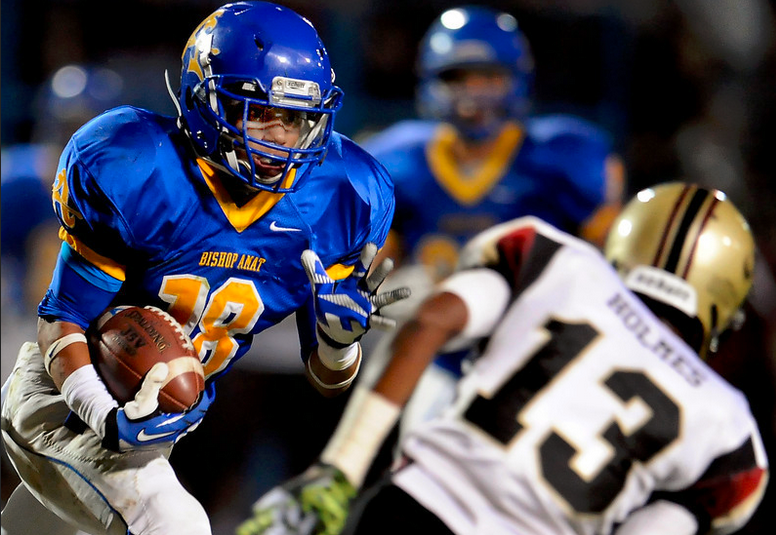 Bishop Amat — How often do we not start a season with Amat No. 1. It is what it is, area teams don’t beat them, they compete in the Pac-5 and have powerful juniors returning like Tre Sidney and Tyler Vaunghs. But will it make the playoffs? That’s a different story. 2. Glendora — They were 7-3 and return the areas best quarterback in Matt Fink. Let me say that again, the best quarterback. When you throw for nearly 1,500 yards and 12 TDs as a sophomore against the type of schedule the Tartans face, you’re going to be dangerous your next two years. And now that Glendora is in a league and playoff division they can compete in, get out of the way. 3. Charter Oak — Juniors Kamden Brown (quarterback) and Zion Echols (RB/WR) are the future and the Chargers should go back to dominating the Hacienda now that they’re finally out of the Sierra and Inland division. Good for Big Lou, would love to see him dominate and enjoy his final years at the school. 4. South Hills — Like Charter Oak, the Huskies should enjoy the drop from the Sierra to the new Palomares where Bonita and Glendora are likely their toughest competition and back in a playoff division they can compete in. Quarterback Garrett Fonseca should be ready to have a big senior season and coach Albert Rodriguez, or fuzz as they call him, has shown he gets the most out of his players, especially defensively. 5. Damien — Here’s the deal, competing in the Baseline is brutal because they barely hung in the Sierra. If anyone can handle the move it’s probably coach Mark Paredes but you can’t do anything without players and there hasn’t been an off-season buzz about players transferring to give you an idea they can compete at this level. But hey, in our little fishpond, they’re top five no doubt about it. 6. 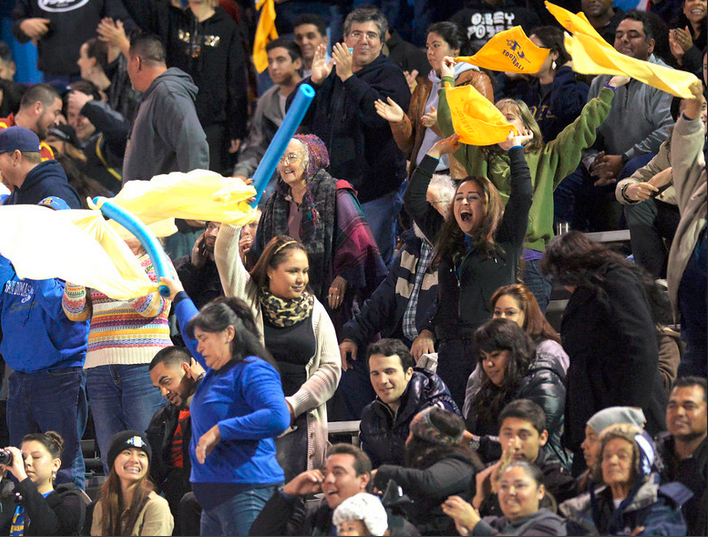 San Dimas — Can we just pencil in a back-to-back Mid-Valley title already? I don’t know if the Saints are legitimately better than the others ranked below, but they’ll dominate the Valle Vista and be favored to win a division that Monrovia is no longer part of. Look, coach Bill Zernickow is a master, he’s already proved it, it’s plug-and-place at San Dimas so get ready for another 14-week season. 7. Diamond Bar — The Snoop Dogg show is gone and so is coach Ryan Maine but they’ve got Antonio Noodles Hull and quarterback Tyler Peterson returning for their senior years and a new coach who’s been a winner everywhere he’s gone. I’m telling you now, don’t sleep on the purple. 8. West Covina — It’s felt like forever since the Bulldogs won back-to-back championships and were dominating everyone not named Bishop Amat or Charter Oak but something tells me coach Mike Maggiore will have the boys ready for the new Hacienda and its renewed rivalry with Charter Oak. 9. Bonita — The Bearcats lose a bunch but they have a bunch returning. This is a program that is solid year-after-year and has a lot of players in the program. It’s probably time for them to get their act together again. 10. Diamond Ranch — This is a pure guess because Roddy Layton is no longer coaching and a new coach hasn’t been named yet. But everyone knows there are talented football players at the Ranch and to have a top ten without them in it would be silly. 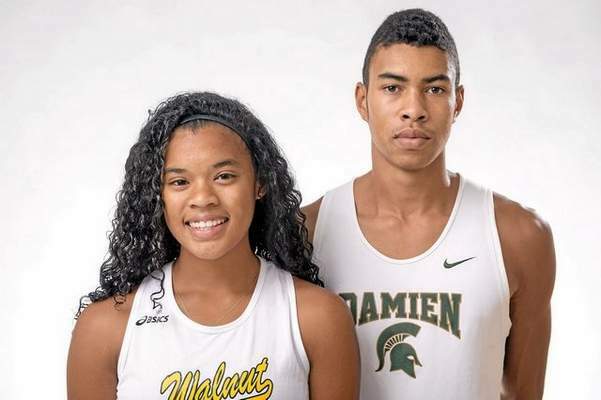 Consistency is usually the key to success in athletes, and it proved to be the key ingredient for Damien’s Thaddeus Smith and Walnut’s Kayla Richardson, who proved to be the area’s best. For their efforts, Smith and Richardson are the Tribune Boys and Girls Track Athletes of the Year. Smith, a junior, was the area’s top sprinter. He placed in Division 3 in the 100 and 200 at the CIF-Southern Sectoin finals and qualified for the CIF-SS Masters in the 200. At the divisional meet, he was sixth with a time of 10.77 seconds before taking third in the 200 at 21.36. At the Masters Meet, he was ninth at 21.94. Richardson, a sophomore, was also the area’s top sprinter, placing in Division 1 in the 100 and part of Walnut’s 4×100 relay team, which was the area’s only representative at the CIF State championships near Fresno. Richardson was ninth in the 100 in Division 1 at CIF-SS finals with a time of 12.35, which was best in the area. She helped Walnut to a fourth-place finish in the 4×100 with a time of 46.83. The Mustangs were sixth at Masters with a time of 47.01. They were sixth in their heat at the state championships and didn’t advance to the event final. She also scored four first-place medals at the Hacienda League finals, winning the 100 and 200 and helping the 400 and 1,600 relay teams to wins. 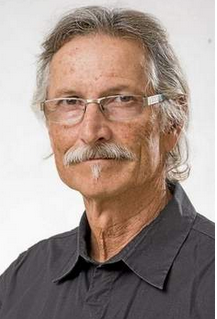 Is South Hills sports better or worse since principal Judy North resigned? When you think of the best sports principals in the San Gabriel Valley, South Hills’ Judy North use to come to mind. The Huskies had one of the best and longest tenured athletic coaching staffs in the Valley and there was a lot of on-field success during her tenure, but a lot has changed since her retirement a few years back. Since then, practically all the long-time coaches resigned or are no longer there due to other circumstances, including football coach Steve Bogan, baseball coach Kevin Smith, boys basketball coach Paul Reed, girls volleyball coach Charm Doyle, softball coach Scott Fisch, wrestling coach Rob Froh and some I may have missed, it’s hard to keep track. Just recently, Paul Reed, the boys athletic director and Kathy Reed, the girls athletic director, either resigned or were let go as the school’s athletic directors. When there is this much turnover in such a short period of time, you wonder what’s going on behind the scenes? While you’re busy mulling that, here’s another question, is South Hills athletics better or worse since North retired? With the quick and swift changing of the guard it may take a few years to know for sure whether South Hills athletics is taking a step forward or back, but from a coaching standpoint, there’s a new regime for sure.